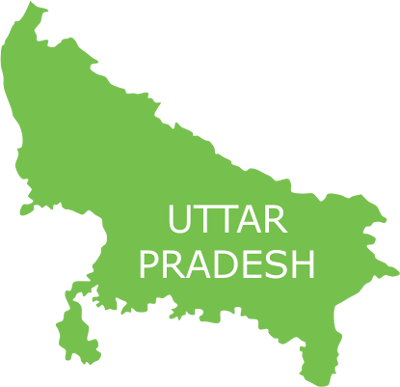 Noida, the aspiring IT capital of India, is ranked the best city in Uttar Pradesh. However this is only one side of the story. There has been a steady inflow of migrants in the city from different places in UP and also from other states. Labourers and daily wagers form a major portion of this migrant population and have long been facing the grim consequences of poor sanitation, illiteracy and irregular wages. Healthcare remains one of the most neglected areas for these families as they struggle for daily survival. Although the city contains many private healthcare facilities, it lags behind in government healthcare infrastructure with the fatal consequences being faced by the city’s urban poor populace. The inadequate health provisions have led to alarming cases of chickengunia, tuberculosis, malaria, dengue, etc. in certain areas. Smile Foundation in collaboration with Ericsson India Global Services Pvt. 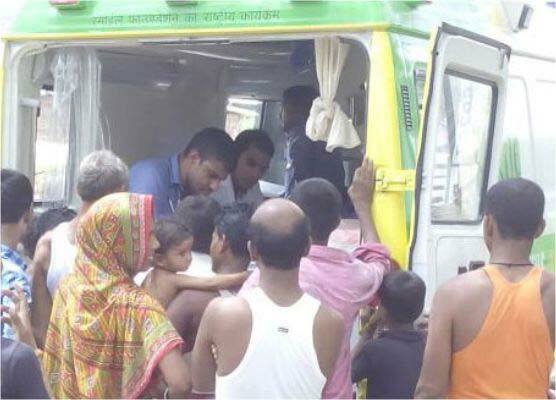 Ltd. initiated the Smile on Wheels mobile hospital programme in Noida from 10th September 2015 in 15 identified villages and slums of the city to ensure better healthcare facilities for the disadvantaged migrant population. Apart from taking preventive and curative healthcare to the doorsteps of people through regular OPDs, pathological test facilities and distribution of free of cost medicine, the project spreads awareness in the community through innovative methods like school programmes on personal hygiene and nutrition. Street plays, songs and interesting audio visuals are used to inform the people in an engaging and interesting way. The main focus of the programme is on women and children who are most prone to health problems, communicable diseases and infections. The project has received unprecedented support from the community and has witnessed marked increase in the number of volunteers from the community in a very short span of time. The maximum direct beneficiaries have been women and children, comprising 59.3% of the benefitted population. 1137 PATHOLOGICAL TESTS WERE CONDUCTED SO FAR. A TOTAL OF 21870 PEOPLE BENEFITED FROM THE HEALTH CARE SERVICES PROVIDED.